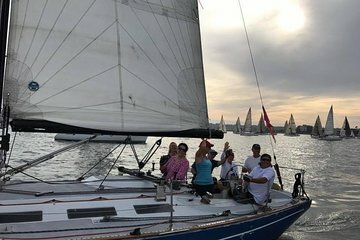 Whether you want to enjoy a relaxing sightseeing cruise around the San Diego Bay or you want to learn how to pilot a yacht, this private sailing charter is a great way to spend half the day. Head out onto the Bay in a beautifully-restored racing yacht and customize how you want to spend your time. Enjoy otherwise-inaccessible Bay views of downtown San Diego and the city’s Naval Base.